Barbeque Grill Parts replacement available at better quality than most original BBQ parts. Fix your barbecue grill with replacement burners, cooking grates, heat shields, flavorisers, igniters and a lot more quality grill parts at Great prices! 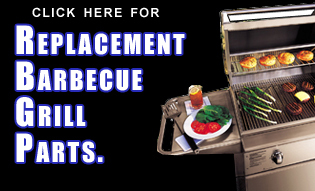 Universal grill parts are also available that adjust to fit yourbarbeque replacement parts. Whether the grill parts you need are not available or if you are unsure of the dimension needed to replace grill parts, Universal grill parts are a high quality solution that adjust to fit a large variety of barbeques. Outdoor kitchen accessories include many built in bbq doors, outdoor kitchen drawers, built in paper towel holders and many other accessories to make your grill island perfect, attractive and functional. You can choose from various designs, styles and szes to perfect your Outdoor Kitchen Grill Island or Outdoor Bar. All of our outdoor kitchen built in accessory grill parts are Made in America of high-quality stainless for lasting performance. However, you can choose from a variety of styles and price groups to ensure your Outdoor Kitchen Grill Island is perfect. Shop for Grill-Repair.com Custom Made Dry Rubs Here!! Aluminum, Resin Wicker and Hardwood patio furniture built for outdoor weather to stay beautiful for many years of use. 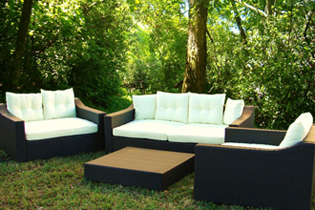 Resin wicker patio furniture is a synthetic wicker that looks new outdoors in the harshest weather. Inner frames are made of aluminum for a log life outdoors without rust or corrosion. Teak and eucalyptus wood furniture portrays classic natural beauty outdoors. Both of these hardwoods are resilient outdoors and you can use them with or without an oiled finish. Without oiling your patio furniture the hard wood will turn gray and weathered while holding its strength and form. 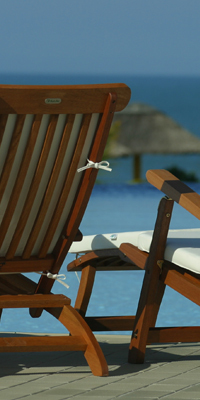 Oiling outdoor eucalyptus or teak furniture darkens the finish and holds the colors for years of use. Vented and Ventless gas log fireplaces with traditional logs, fire glass and fire shapes for a warm comfortable hearth in traditional and contemporary homes. 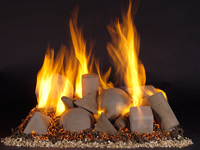 Ceramic gas logs are available with many wood log designs. 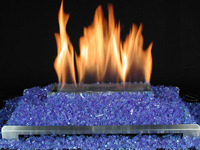 Alternative ventless gas log fireplaces burn with crushed colored fire glass in dozens of colors, alterna fire shapes and gas burners designed for varied stacking options to create the perfect fireplace flame effect. Designed to warm your house or your backyard resort these fireplaces also complement indoor and outdoor decorating. Custom outdoor stainless fireplace burners and gas logs and outdoor fire pits add beauty to your backyard home resort. Customize your fireplace with designer fireboxes, realistic electric fireplace options and design your own hearth mantle. Thank you for visiting www.grill-repair.com -- Your Backyard Shopping Site. We take pride in our ability to help you with your backyard design needs. We strive to maintain our superior product knowledge understanding real details of every item we service and sell. We custom build outdoor kitchens on site to ensure perfection every time and we stock a great variety of built in BBQ accessories to provide designs that match your taste, fit your space and exceed your expectations both in design and product value. 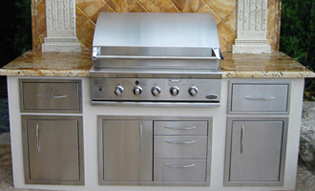 Built in BBQ grills are all American Made of high-quality 304 stainless steel. Our barbeque grill technicians work on-site installing BBQ replacement parts every day of the week. The universal grill parts and perfect fit grill parts you receive from us are the highest quality available. These are the same barbeque grill replacement parts we use in our business every day of the week. Please do not hesitate to contact us if you need some assistance. 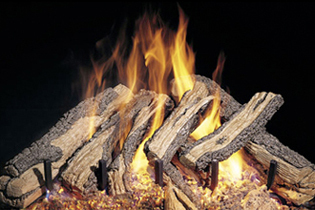 Our fireplaces and fire pits are safe and easy to use both wood-burning and vented or ventless gas log fireplaces. We also provide alternative gas fireplace designs made with fire shapes, river rocks, colored glass and fire balls for the fireplace that wants to burn a little differently. Outdoor furniture is comfortable and attractive. 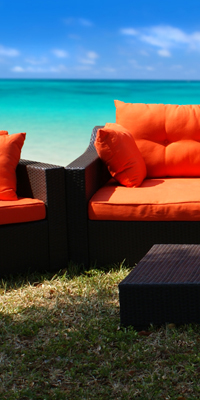 We only sell aluminum resin wicker and hardwood furniture because of its resilence outdoors. For more information about www.grill-repair.com and to see some customer feedback and educational tutorials, please visit our blog site.